The Church of Christ my family and I were a part of when I was a child was a small congregation. Most of my church experience, especially as a minister, has been with small congregations. By small, I mean congregations of less than one-hundred people and that includes children. If you talk to members of these congregations, they’ll usually talk about the closeness the members have with each other. The local church is like an extended family, which seems good. In fact, one of the challenges that larger churches face is trying to retain this sense of close community so that all members have a sense of belonging and deeper relationship with at least a few others in the church. This is one reason why small groups have become so popular. Another thing about small churches is that most of them want some numerical growth. So generally, there is an excitement when someone decides they want to place membership and for various reasons, these small Churches of Christ are always happy when a person from another Church of Christ wants to become a part of their church. 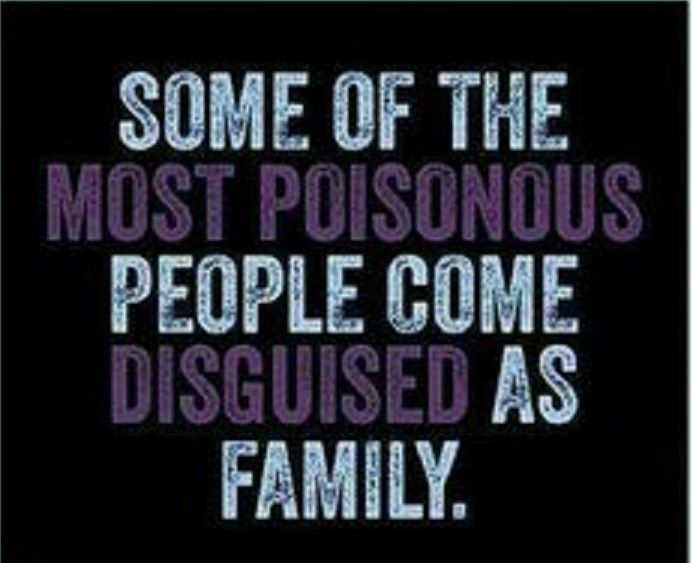 However, there’s a real danger in that sometimes there is such a desperation to welcome a new person or family that someone toxic person is welcomed without any reservation or qualification. Who is the toxic person I have in mind? Typically he or she is a Christian who every few years gets upset about something in their church and leaves for another church (note: they’ll always has a “scriptural” reason that justifies their reason for leaving). This person is toxic because he or she is an argumentative and divisive bully who thinks they are smarter than others. They’re eager, too eager, to assert themselves as a leader which has more to do with their own ego than it does with serving. They are quick to correct others and will even insult others as a way of demonstrating their diluted sense of superiority, especially when it comes to knowing the Bible and matters of sound doctrine. However, there’s a reason why such a person has left the last church. Though not always the case, sometimes such a toxic person leaves is because the others of that church had enough and someone rightfully stood up to them. Like any bully, the last thing this toxic Christian can handle is anyone who will not cower to their coercive and intimidating pressure. Let me say it again… Yes! Cage the tiger! Caging the tiger here takes some courageous and wise leadership so as not to create further conflict, if that is possible. So ignoring the problem until either other people begin leaving the church or become so frustrated that they lash out will not work. The only way of caging the tiger is to confront the individual and speak the truth in love, candidly explaining the problem. If the person will not listen and change, then you must lay out the resolution for them (which is no longer up for discussion). If the tiger is not caged and a toxic person is passively empowered then there more problems will surface. I know of one church where most of the adults stopped participating in any Bible classes because they were tired of always being corrected and insulted by one particular toxic individual. I once witnessed people get up and walk out of a meeting because they had reached their limit for tolerating the lecture they were about to receive from another toxic member (who had acted like this many other times). That shouldn’t happen and it doesn’t have to if someone will have the courage to lead by wisely caging the tiger. Cultivating a healthy culture in your church depends on caging the tiger! When I was serving with the Columbia Church of Christ, a man started visiting our church. He had previously served as a minister with several other Churches of Christ but was now on disability and our church was the nearest Church of Christ. So he showed up but made it quickly known how much he disagreed with our gender-inclusive practices. So for the next two weeks when he showed up to Bible class, he promptly told the women how wrong they were and you could see the hurt and frustration on everyone else’s face. It was rather obvious that he was here to create division. So I met with him and explained to him that though he was welcome to be a part of our congregation, gender-inclusiveness was a part of who were as a local church and if he could not accept that then there were other churches in the community for him to visit. He never came back and that’s ok. The following Sunday, the atmosphere of our Bible class was back to normal with a lively discussion fostering an an encouraging conversation about how we live as followers of Jesus. That’s one example of caging the tiger. It’s not the only way, just one way. But by all means, if you’re a church leader then have the courage and wisdom to confront the toxic people and cage the tiger. Cultivating a healthy culture in your church depends on caging the tiger! So again, I will say it and close with these words… Yes! Cage the tiger! This entry was posted in Church, Churches of Christ, Columbia Church of Christ, Leadership, Missions and Ministry and tagged #HoCoFaith, Christianity, Church, ChurchesofChrist, leadership, Ministry. Bookmark the permalink. The tiger that wishes to keep the church in a nineteen fifties pre-civil rights mode needs to be caged. No, the tiger is not declawed and made tame when it is allowed to justify self with, “Oh, I believe that people of color are ‘one with me in Christ’.” The love of Christ is supposed to change our entire perspective; not the one simply bordered by church. We treat Titus 1:5 as though Paul said to appoint elders in every congregation but he said to appoint them in every city (polis). If we had one set of elders over all the congregations of a city they could help control congregation-jumpers. It stinks when the congregation does not know you after 10 years and they are not willing to grow. There are factions and bullies.